Amber Heard and Vito Schnabel coupled up Monday at the Wimbledon tennis championships. [post_ads]The 32-year-old actress and 31-year-old art dealer fueled dating rumors at the tournament at All England Lawn Tennis and Croquet club in London, England, according to Just Jared. People said Heard and Schnabel were spotted holding hands as they attended the day's matches. Heard wore a sleeveless green jumpsuit with platform mules, while Schnabel sported a blue button-down shirt and pants. Heard was seen wearing the same jumpsuit in a video she posted to Instagram Stories. 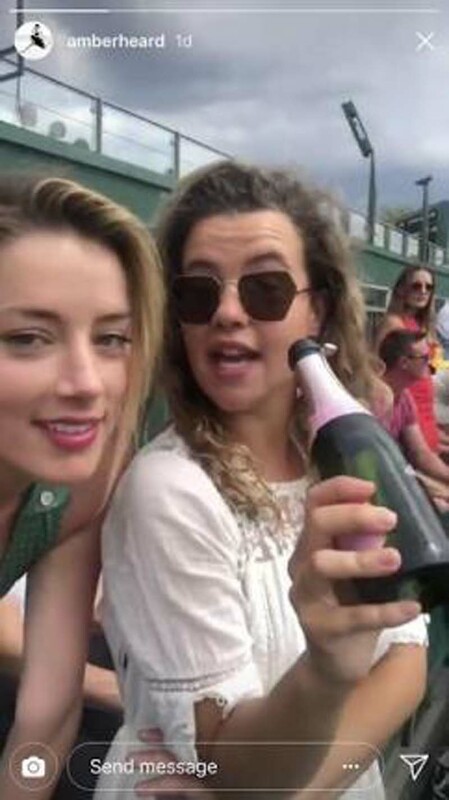 The clip shows the actress and a friend drinking champagne in the stands. "So, what are we doing?" Heard asks her friend. "We are watching tennis and drinking from the bottle," her friend responds. "Otherwise known as living our best life," Heard adds with a laugh. Heard and Schnabel were previously spotted together during Friday's matches. Just Jared said the pair spent their evening at the tournament with friends. Heard was previously married to actor Johnny Depp, and split from Tesla CEO Elon Musk in January following a brief reunion. Schnabel called it quits with model Heidi Klum in September.